Spanish agency association Aseproce has announced that it will run new online courses for group leaders this year, ahead of the peak summer season. Designed for group leaders that will take groups of Spanish junior students on study abroad trips, the course will be available in May to all candidates, regardless of whether they are employed by an Aseproce agency or not. 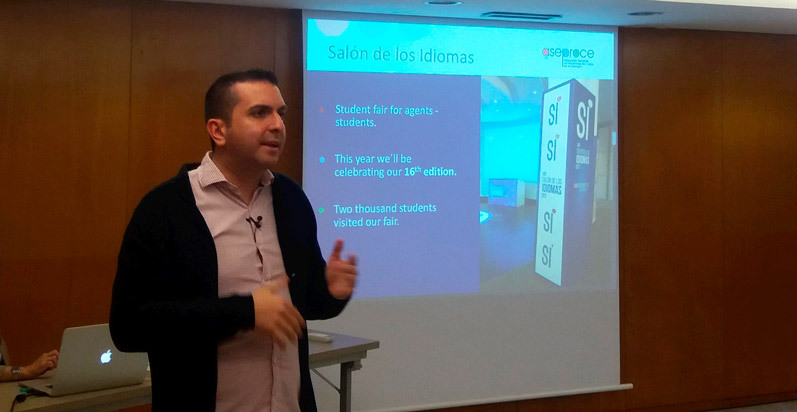 Unveiling the plans during a presentation before the StudyTravel Alphe Spain 2019 conference in Malaga recently, Oscar Porras , President of ASEPROCE , said the online courses will consist of 60 hours of theoretical training and will require at least 30 hours of practice. Topics covered in the course will include data protection law, destination-specific travel documentation requirements, entry requirements, first aid, school accreditations, accommodation options and the customs of study destinations. Oscar said that working groups have been created to develop the content of the programme, and that they would be requesting the collaboration of international experts, such as language school associations in key destinations. The training programme will initially be an optional certificate-bearing scheme for an agency’s groups leaders, but after a period of transition it will become compulsory for Aseproce member’s leaders to have completed the course in order to guarantee quality, Oscar said. During the presentation, Oscar also briefly outlined trends in the Spanish agency market, including the increase of academic year programmes to Canada and Ireland, the enduring importance of ‘mini stays’ despite slim margins, growing demand for courses where junior students are integrating with native children, and the potential for future growth in the senior market. He advised that there was nothing like this group leader course in the Spanish market currently, and that candidates that successfully complete the training will receive a certificate. Established in 1987, Aseproce currently comprises of 55 agencies and is a member of the global Federation of Education and Language Consultant Associations ( Felca ).